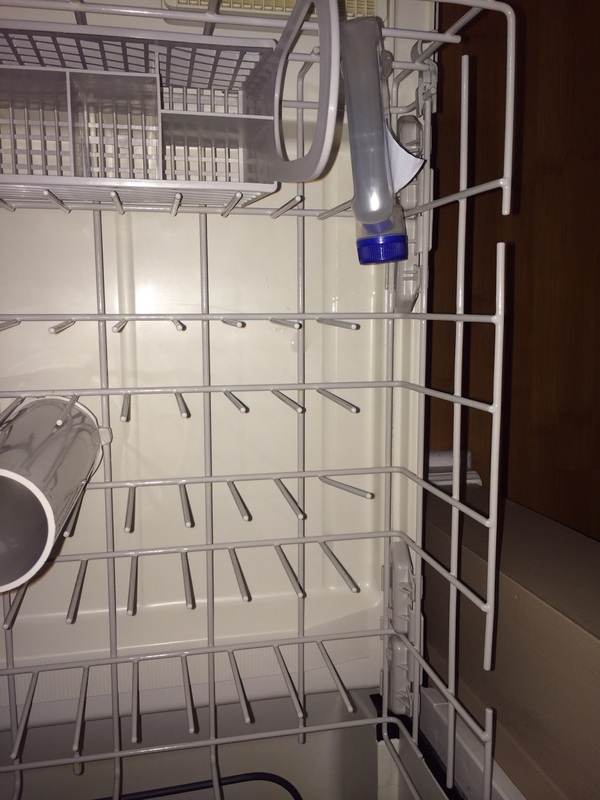 I have had this dishwasher for over 5 years and have never used a cleaner it. The most I have done is once in a while ran a vinegar soaked sponge through it. My dishes are starting to come out streaked and Shopper's army has given me this to try out for free. I only went to one store to buy it which was Walmart hard to find as it was way up on the shelf but shout out to the wal-mart employee who noticed I was not tall enough to reach that high shelf and got it down for me. 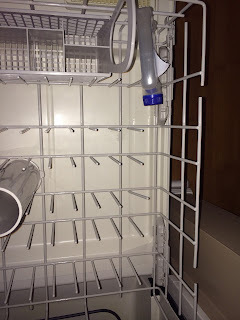 Here are a few before pictures these dishes are clean its hard to see on camera but there are some streaks in them. You can tell this did something as it is in a different location than where it started but did it work? I can't tell so I don't think so. I think its little whiter? The dishes still came out streaked there seems to be a slight improvement but not a significant difference. That being said I already use finish dishwasher tabs as my detergent maybe its already doing what it is supposed to. It costs about $5 for this product for me it doesn't work but I think it might work on other machines. I think Vinegar works better for me so I will stick to that.